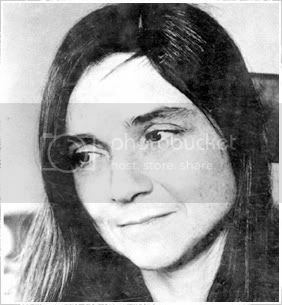 life in a shoebox: adrienne rich. 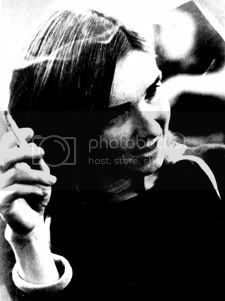 Adrienne Rich (born May 16, 1929 - one day after me!) 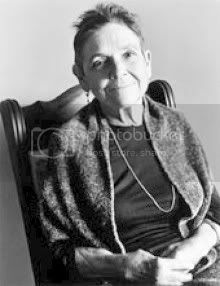 is an American poet, essayist & feminist. "The pamphlet Twenty-One Love Poems (1977), which was incorporated into the following year's Dream of a Common Language (1978), marked the first direct treatment of lesbian desire and sexuality in her work." this is one of my favourite poems. it is incredibly long, so i'm just going to post the passages that i like best. my limbs streaming with purer joy? as I listen with nerves tuned for your ring? And you, you move towards me with the same tempo. At twenty, yes: we thought we'd live forever. and somehow, each of us must help the other die. lets the door almost close on me. - For God sake hold it! I croak at him - Hysterical, - he breathes my way. Do whatever you can to survive. and they still control the world, and you are not in my arms. plucked and fingered by women outside the law. in my rose-wet cave - whatever happens, this is. a woman. I choose to walk here. And to draw this circle. a lot of my favourite passages are the ones that speak directly about being a lesbian, but not in an obvious way. it may be because i wrote as essay on the sublety of her language in relation to her sexuality, but i find the way she writes about it just breathtaking. these particular excerpts above speak to me in a way i can't even put into words properly. the language is just so beautiful & the sentiments SO true, i can't even. i find her incredibly inspirational. check out her wiki entry, it's fascinating. I find reading her makes me feel more centred & at peace. That was my favourite passage too. We have the same birthday Amanda. That's pretty spectacular!